The Brazen Bull also known as the Sicilian Bull, was invented in Ancient Greece by Perillos of Athens. Perillos proposed his idea of a painful means of execution to Phalaris, the tyrant of Akraga. Phalaris liked the idea of the Brazen Bull, and had one made made. Once finished, Phalaris ordered it to be tested on Perillos himself. The Bull was made wholly of brass. It was hollow and furnished with a door in the side. 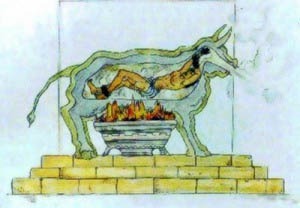 When a victim was placed inside the brazen bull, he or she was roasted to death by a fire lit underneath it. A system of tubes made the victim’s screams sound like an infuriated bull, and also made the bull’s muzzle snort smoke. 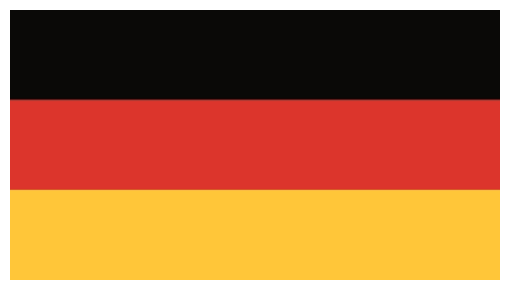 In the Middle Ages it was used in Central Europe.